Android Wear 2.0 isn't coming until next year. I'm absolutely gutted. Well, I'm as gutted as you can be about a smartwatch OS being delayed. Given I'm the editor-in-chief of a website dedicated to wearable tech though, that allows me to be more gutted than most, right? At Wareable HQ I bang the Android Wear drum louder than most. I'm quick to jump in and defend and offer excuses if someone criticises it, and I get weirdly jealous when my colleagues praise watchOS or Tizen. The trouble is, in the last few months those defences have become a little hollow as my faith in the platform wavered; and my jealousy has become less justified as rival platforms improve. 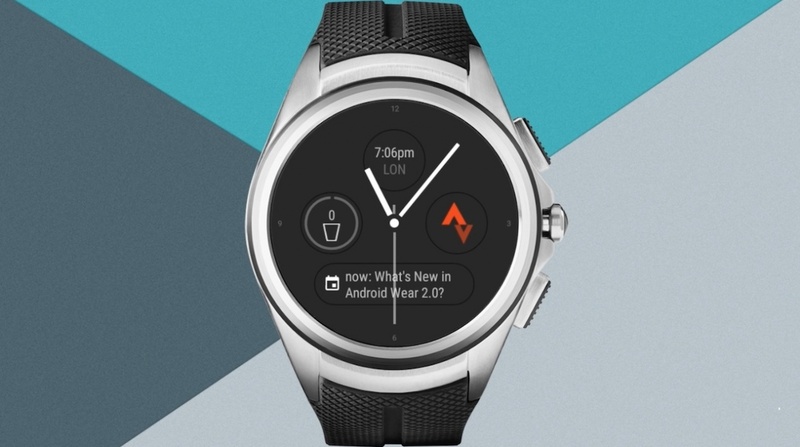 Android Wear is an ageing beast and, despite some welcome tweaks in its 28 months of existence, it's essentially the same OS that Google announced way back in March 2014 . To put that timeframe into perspective, that was around the time that the Samsung Gear 2 went on sale (five new Samsung smartwatches have since launched, each with an OS more shiny than the last) and the original Apple Watch was over a year away from going on sale. Android Wear 2.0 was all set to change that though. I wrote an op-ed back in July about how the double whammy of the rumoured Nexus smartwatches and Wear 2.0 would save the day for Google's smartwatch ecosystem. With Google's big event planned for 4 October - and huge announcements expected across the board - we still wouldn't be surprised to see new 'in-house' smartwatches revealed but, with Wear 2.0 now officially delayed until 2017, there's slim hope these will be on sale before Christmas. It's an open goal this Holiday season for Apple and Samsung. Both the Series 2 and the Gear S3 are bound to sell well, particularly the former, and their operating systems are streets ahead of where Android Wear is right now. WatchOS 3, combined with Apple's new hardware package is as close to a smartwatch game-changer as we've seen and Tizen, despite still not having the killer apps Samsung has promised, is really intuitive and easy to use (no wonder there are rumours Huawei is going to ditch Android Wear in favour of it). Android Wear 2.0 will put Google much more in-line with its platform rivals. I've been using the dev preview for months and it's great, and the Play Store integration (apparently the reason for the delay) will only improve things further. But it already feels too late. We've been testing the new breed of Android Wear smartwatches in the last few weeks - devices from non traditional tech companies such as Michael Kors, Casio, Polar and Nixon - and while the devices themselves are a million miles from the ugly first-gen, smartphone-on-a-wrist-esque, LG G Watch and Samsung Gear Live, the OS running the show is very much the same. It feels like Google that is letting down the platform. The brands and designers are turning up, the chip makers are doing their part (i.e. Qualcomm's dedicated Snapdragon Wear 2100) and the smartwatch audience is more alert and ready to receive than ever. So I'm gutted. Not only for myself and my collection of Android Wear watches that badly need a software revamp. But for the tens of thousands of people that land on sites like Wareable everyday looking for advice about buying the best smartwatch. Until Wear 2.0, it will be harder and harder to recommend some otherwise brilliant watches.